Please note this is the new manufacturer's packaging - 16 oz. Refill Bag, not 18 oz. 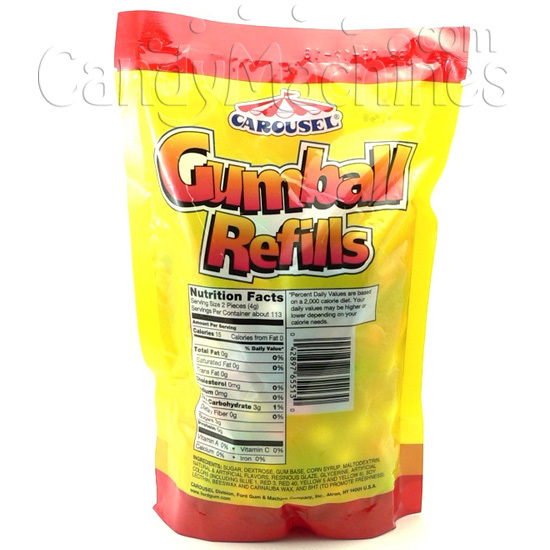 1 pound of Carousel Refill Gumballs come in assorted colors, each about .62" diameter and approximately 226 pieces of flavorful Carousel gumballs in an attractive full color bag. The 16 oz. 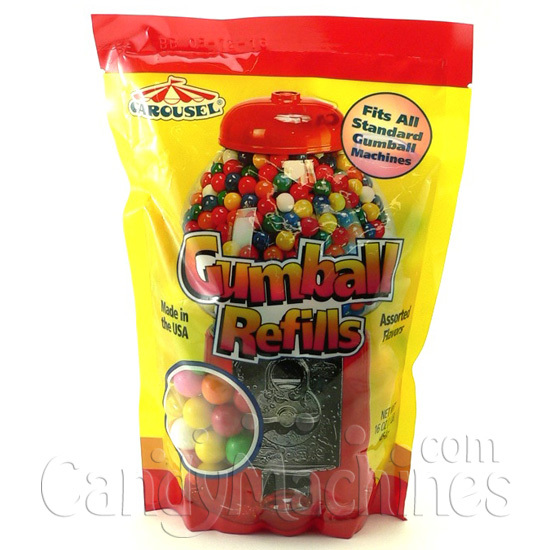 refill bag is perfect to refill any of our smaller Carousel Gumball Machines /Banks and Gumball Dispensers, or just to keep around your home or office. 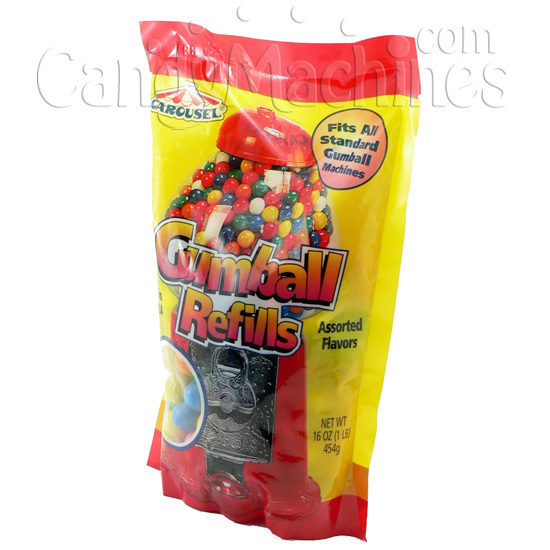 For more great treats, be sure to see our full selection of Gumballs-By-The-Pound. Made by Ford Gum, these home machine size bubble gum balls are Kosher-Parve Certified. Gumballs store best in a cool, dry, low humidity location. Their shelf life can be up to 18 months if not exposed to extreme hot or cold temperatures.